Many of us are the second-generation children of immigrants who survived periods of instability such as the Vietnam War, the Korean War, and the Cultural Revolution. And yet, for some of us, the familial stories of that trauma are largely unknown – erased by violence or buried in silence by emotional and psychological trauma. And so, even as our fingers trace the scars left upon our families, we feel an emotional distance from the periods of violence that reshaped the courses of our families’ history. We know the facts as one might read a description in a textbook. We ponder the blurred faces of people whose names we might (or might not) know memorialized in black-and-white snapshots by unseen photographers. We feel the aching silence of our parents and grandparents who speak volumes in what they do not — and what they cannot — say. We wonder what we have gained by our not-knowing and our not-speaking; but also, what we may have lost. 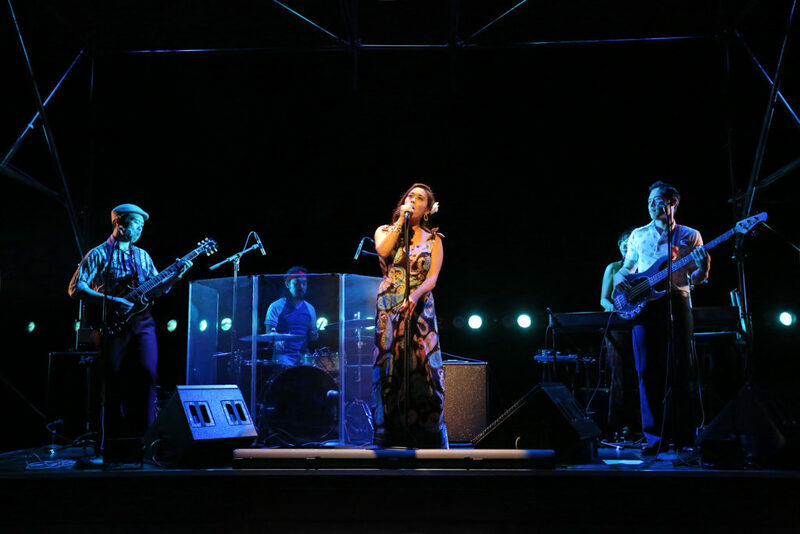 Playwright Lauren Yee beautifully captures these complex dynamics in her stunning new play, Cambodian Rock Band, currently in its debut run through to March 25 at the South Coast Repertory Theater in Costa Mesa, California.